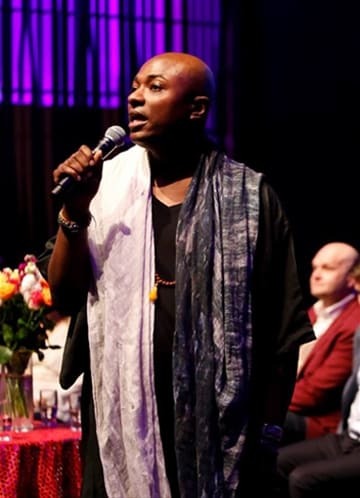 Shaman Durek's method is unique and profound. We customize Shaman Bootcamps or private seminars based on the country and essential topics that are necessary for growth. Connecting with your spirit guides in a fast and easy way to learn how to apply practical application in your life. Understanding the Spirit World as it relates to the physical world and draw upon its resources for life improvement. The Power of words and how they can create or destroy and how to use words to to enrich your life with possibility. Stepping into your power and living your truth by living authentic to who you are and how to maintain a powerful awareness. Shamanic collective of energy centers and there location and how auras and chakras of vedic hindu culture play into all things spiritual. Earth Medicine technique and shamanic application drawing upon the sacred Hu to increase energy and heal yourself and others. Sacred Shamanic Journey to meet your power animal and bring back knowledge and wisdom in the shamanic way to assist in ones growth and wisdom. Shamanic dream medicine and the levels of dreams and the their meaning in relation to our day to day living also herbs and techniques to being lucid. Connecting with your inner child and why the child is the bridge to your soul and the divine through application of the wisdom gain success in all areas of life. Understanding the shamanic key of Shaka Bradda hanging loose and being in the flow and know what doors to walk in and what door to avoid in life. Examination of your real passion for purpose and direction to achieve a clear understanding of your spirit passage meaning life path. Manga Healing learn Mongolian healing techniques to releasing negative energy and poison and build a strong energy center for healing of self and other. Shamanic energetic elemental power drawing and awakening your sacred rhythm and awareness to improve your health and clear unwanted energy. Sufi healing using sacred Hamsa and blue energy ray to open the passages of the sacred anatomy and remove energy pathogens from your body. Shamanic primal energy core dynamics to empower and release anger and balance and call forth lock powers within to greatly improve your life. Sensing energy in other people by using your inner intuition and charting of energy frequency through visual guidance. Breaking a hex or curse or anything directed to you that limits your spiritual progression and learn ancient symbols that clear energy and change time. How to read people emphatically and to learn to access the empathy field in the emotional body to change others people energy for the better. Imprinting and leaving your souls mark to draw energy and resources and attract what you want from life. Understand the energy build up to manifest. Opening the Sacred Channels of the spine and release powerful healing energy to be used to direct the harmonic templates of the body. Learn about Mental Entrapment from other people and outside influences that bombard your clarity and focus to be excellent. Linear Perspective versus Quantum perspective and how they by understanding the universal dynamics one can achieve powerful results in life. Kuba Healing from the Congo physical energy empowerment techniques for increase of mental and physical power and to clear blocked energy. Mental Parasites what are they how do they get in and to get rid of them clear the parasite unblock the programs of your past. Understanding the Quantum Sphere and truly grasping your multidimensional self and recognise the unlimited you. Heart healing connecting to the divine heart flame and clearing block heart passages brought on by fear or loss learn to speak from your heart. Shamanic Soul grouping to bring the you that was lost or left behind through acts of pain and trauma and renew old contacts to bring about change. Shamanic knowledge of the inner dynamics of the 4 spirits governing your soul and how to access them for greater life experience. Passage rite for being a clear channel to ancestors and other spirits of the light and discernment techniques. Shamanic shaking healing and clearing techniques to deepen ones body and reset the internal system for stronger health and energy and inner clarity. Shamanic rhythmic breathing for opening dormant energy channels and clearing out black effluvia and allowing spirit to cleanse you. Mapping spiritual healing with master and guides and spirit helpers to clear shift and remove energies for greater healing. Inner flame healing learning to draw the energy of the heart flame then harness it for self healing or healing for others. Jumbata healing called tapping and surfacing trapped energy to clear and learn spinning techniques to remove fear of control and break negative patterns. Katamunte is a bridging healing technique that allows for deeper sense of self by removal of fear by withholding the breath while releasing pain. Jera Healing is removing energy gaps in the body clearing hidden energy spaces infusing new energy bringing inner flow for a empowered state. Relative Spiritual Polarity identify your polarity and its relative component to change your life circumstance to being stuck in reflective limbo.